What’s more, the entire incident, including the responses of horrified customers, was recorded on an iPhone and spread like wildfire on social media. As a result, Starbucks, a company well-known for being politically conscious and focused on diversity, has been thrust into a public relations and workforce nightmare with protests and negative press. So, what are the main takeaways from this incident, and what can an employer learn from it? In today’s workforce, it is essential to not only have strong policies prohibiting discrimination, retaliation and harassment, but also to make sure that these policies are known, understood and followed. An employer should provide all employees and supervisors with a copy of the company’s Equal Employment Opportunity (EEO) policy at the beginning of employment and obtain an acknowledgment that the employee has received and consented to the policy. There should also be an EEO section in the employee handbook. An organization’s policies should cover a wide range of conduct and caution employees and supervisors about racial slurs, stereotypes and borderline inappropriate behavior that may be perceived in a negative light and ultimately be unlawful. Additionally, such policies must have multichannel complaint procedures, allowing individuals to bring complaints without fear of retaliation. Further, an employer should stress that the policies not only apply to employees and supervisors, but also to third parties such as clients, customers, vendors and others interacting with employees. The policy must become practice and be built into the very fabric of the organization. • Aim to root out stereotypes and prejudices. An employer should attempt to expand employees’ knowledge by increasing their exposure to different individuals and groups. An employer should also consider providing anti-bullying training so employees know that hostile, abusive and offensive behavior is not proper workplace conduct and that all employees should be valued and respected for their individual contributions. 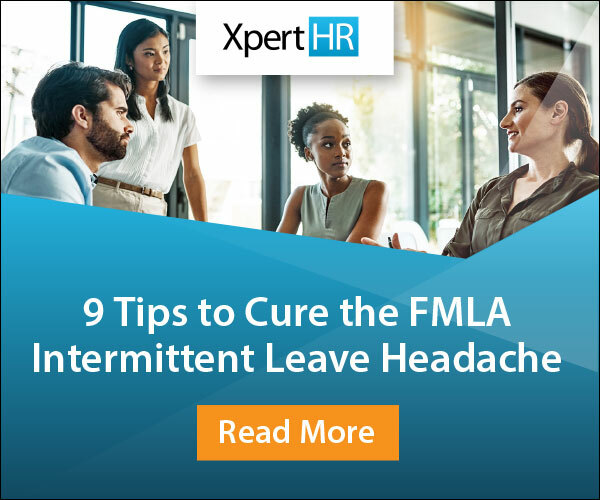 Additionally, it is of utmost importance to focus on supervisor training to make sure that all supervisors, particularly ones that are new, set an example for the rest of the workforce. Unconscious bias refers to an individual’s preexisting views, perceptions and attitudes that may, however unwittingly, influence his or her judgment based on societal stereotyping or one’s own personal biases without the individual realizing it. While often more difficult to pinpoint than explicit discrimination or stereotyping, this conduct may be equally damaging when it comes to workplace behavior. • Providing management with incentives to overcome unconscious bias (e.g., tying bonuses to diversity recruitment). To create a diverse and inclusive culture, it is critical to encourage employees to be upstanders and create a culture of transparency. According to the EEOC, an upstander is someone who recognizes when something is wrong and intervenes in a positive way to make it right. When an upstander witnesses discriminatory, harassing or bullying behavior, they speak up and act in a socially responsible manner to protect others. Upstanders are keenly aware of bad behavior when it comes to workplace interactions. Training employees to be upstanders may assist in changing norms and attitudes, allowing for a greater sense of empathy and diffusing responsibility among the workforce. 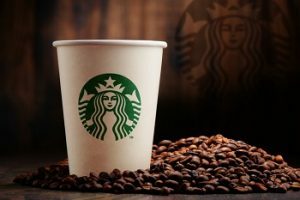 The Starbucks incident teaches HR and employers to address situations early on and put out fires before they start and spread, causing trouble for the workforce and the organization. The time, effort, resources and energy an organization must use to address situations once they escalate is far greater than dealing with situations head on. The reaction of the Starbucks CEO and the organization itself is certainly commendable in the wake of all of this negative PR. Starbucks immediately stepped up to the plate and acknowledged its wrongdoing and promised to do better. The CEO admitted that the conduct was reprehensible and a teachable moment for the organization. Starbucks acknowledged that this was a management issue, and the CEO recognized that he was personally accountable to ensure that Starbucks addressed the policies, practices and training that led to this outcome and vowed to do all in his power to make sure this never happens again. Starbucks even agreed to take a monetary hit and close all 8,000 stores on May 29, 2018, to provide racial bias training to all employees and supervisors in an effort to prevent discrimination. While what happened here was a terrible incident, the attempts by Starbucks to revisit their policies, practices and procedures is a good example of how to try to rectify things in a constructive manner.